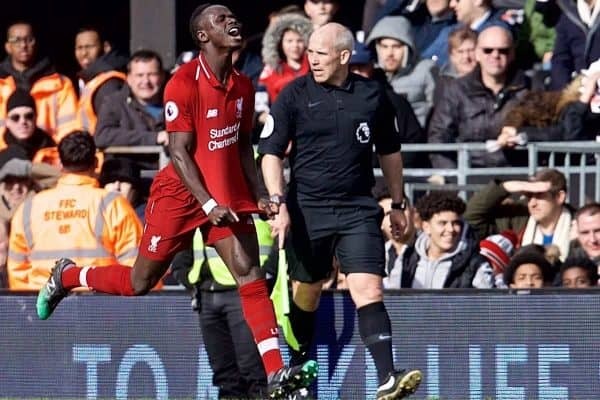 The media applauded Liverpool’s mentality and Sadio Mane in the 2-1 win at Fulham but saw concerns with a lack of ruthlessness and Mohamed Salah’s form. It wasn’t pretty but the Reds ground out a priceless three points to overtake Man City at the top of the Premier League with a two-point lead. James Milner’s nerveless late penalty proved the match-winning moment, coming seven minutes after a goal from ex-Red Ryan Babel cancelled out Mane’s first-half strike. The performance wasn’t impressive, but Liverpool simply had to win and did exactly that with a spirited response which completed what has been a magnificent week. 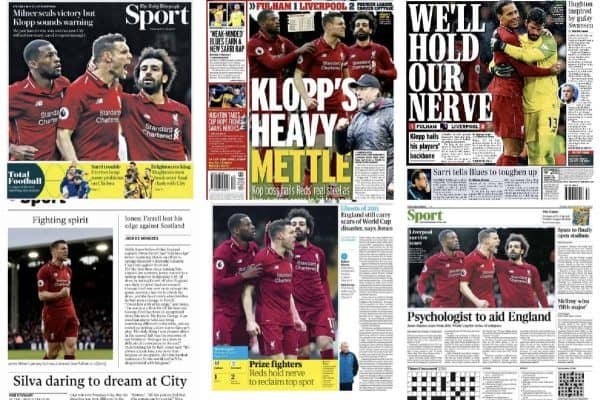 Everything looks rosy going into the international break and here’s how the media assessed the nervy but crucial victory at Craven Cottage. “The powers of recovery Klopp has instilled in this team came to the fore once again. 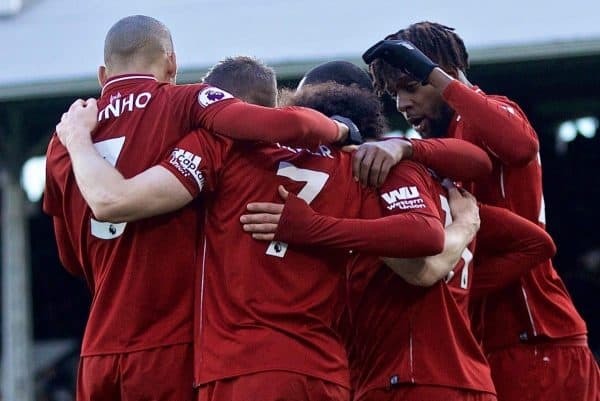 “Liverpool may have won today, but it’s their first away win in the league since mid-January, and it came by the skin of their teeth against a side with 17 points all season. 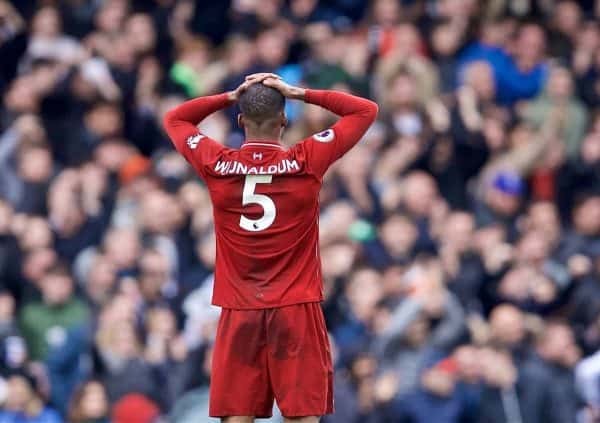 “This wasn’t so much Liverpool bravely gutsing it out, as Liverpool sluggishly letting Fulham back in. “Controlling games is a skill that has frequently eluded this Liverpool side in the past: witness the Crystal Palace, Leicester, West Ham, Burnley games from earlier this season. “A lack of ruthlessness in attack has been an issue of late, most notable at Man United and Everton, and Liverpool got away with it this time. “You sense that Manchester City won’t struggle like this. Pep Guardiola’s side are superior at taking the game to the opposition and converting their possession dominance into outright goal-scoring opportunities, largely thanks to the likes of David Silva, Bernardo Silva and Kevin De Bruyne. That remains the area where City have a distinct advantage over Liverpool. “The exertions of midweek were apparent in a low-tempo first half but, with a goal advantage, it seemed the Reds had little to worry about. “Mane’s run of form is well-timed. While Liverpool’s No. 11, Mohamed Salah, endures a dry spell, their No. 10 is flying. 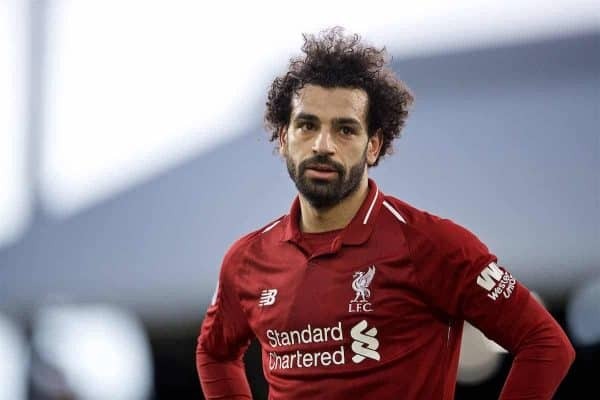 “Liverpool’s Egyptian talisman is on his worst run in front of goal since joining the club, but the fact it hasn’t affected his team is down to his colleague’s form. “It never happened for Salah at any point on Sunday and he was guilty of being greedy in the final third, seemingly opting for personal milestones over his team’s success. “That may sound harsh, but the Egyptian needs to get this drought out of his head. “To focus on the numbers is to overlook Mo Salah’s tremendous contribution to this Liverpool team—at both ends of the pitch. 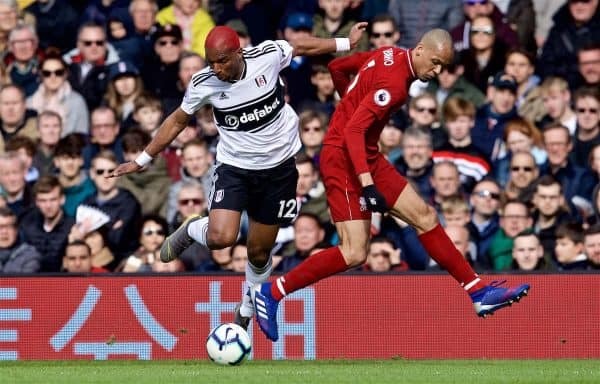 “Often double marked, Salah’s pace and creativity had the Fulham players and fans on edge throughout. “Could it be that that weakness is his casual nature? 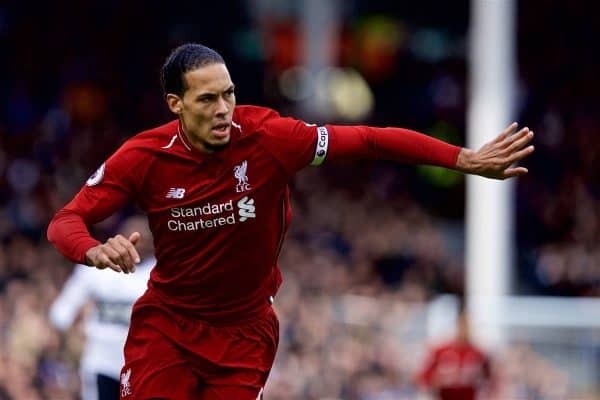 “One of the most mentally resolute players in the squad, it was no surprise to see the 33-year-old step up when it really mattered, stroking home a vital penalty late on. 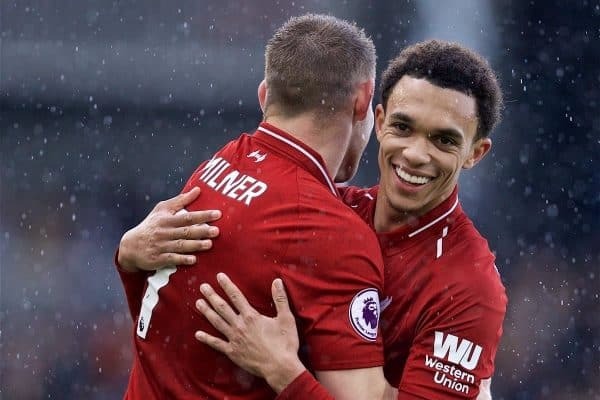 “On occasions Trent Alexander Arnold has displayed his passing range beautifully. Today, he switched the play from right back out to the left on a couple of occasions and played a delightful lofted through ball to Mo Salah in the first half.